At Roof Commander, we are proud to offer the most comprehensive and highest quality roof repairs for homes throughout Lake County. Our team of qualified roofing experts is equipped to help you maximize the life of your roof and prevent damage to your home as a result of roof failure. Whether it be a small patch or large-scale repair, Roof Commander has you covered. Florida is known for its warm weather and beautiful beaches, but we also play host to some extreme weather conditions. 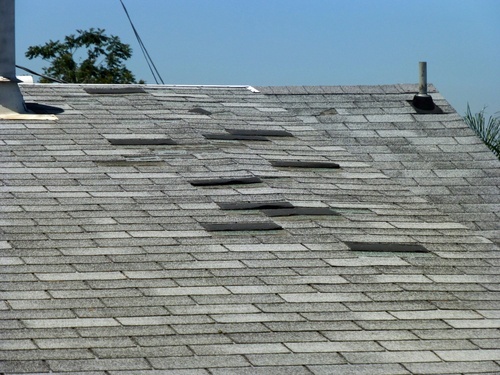 From hurricanes to brutal summer sunshine, it is not uncommon for roofs and their underlying structures to sustain damage. Thankfully, most cases do not require a complete roof replacement, depending on the age and overall health of your roofing system. Tile roofs are a crucial alternative to standard asphalt shingles, especially in Florida where houses are typically exposed to serious climate condition. While they might have a high preliminary cost, tile roofing systems offer essential benefits over other roofing products. Asphalt shingles are available in almost every color under the sun to complement any structure’s design and color scheme. It doesn’t stop with simply color, though. You can even pick shingles that simulate the appearance of slate or wood roof! Flat roofing systems are amongst the most affordable sort of roof and is established for regions with less rains and snow. These roofs are usually set up on industrial houses, homes and garages located in drier environments, nevertheless, you will discover lots of homes in Florida with a flat roofing. With nearly a decade of experience serving Lake County and the surrounding areas, we are here for you every step of the way when it comes to your roof repair needs. We work closely with homeowners and insurance companies alike to ensure a seamless experience from beginning to end, and our relationships with the best vendors and manufacturers in the industry gives us the resources to repair your roof the right way, the first time. Contact us today at 352-459-7599 to schedule your FREE consultation.